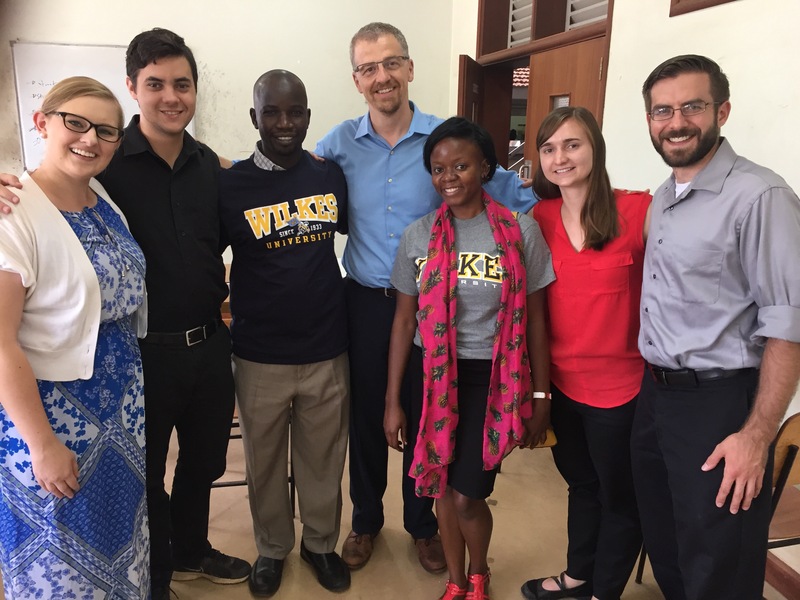 Today was our last day in Kampala with the Makerere University pharmacy students and two of their professors, Winnie and Kalidi. We spent the day at Makerere University listening to the third and fourth year pharmacy students give their case presentations on the patients that we saw with them on Wednesday and Thursday at Kiruddu Hospital. The other Wilkes students and I have had the opportunity to watch third and fourth year students present patient case presentations for the past three Fridays now and it has been interesting to see how the students have developed their presentations since the first Friday that we were here. We have truly enjoyed our time here in Kampala. 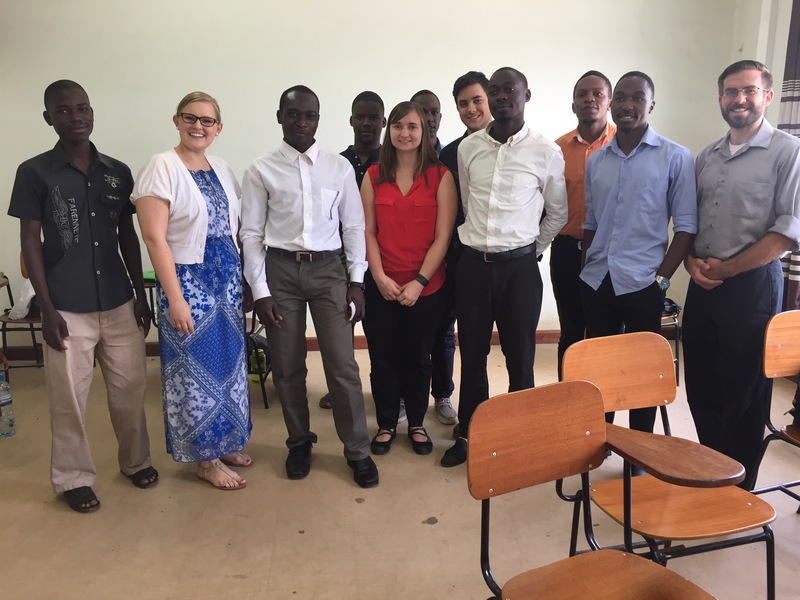 We have been able to work with some awesome pharmacists and have enjoyed our time working with the pharmacy students as well. I know that I have learned so much about pharmacy in Uganda from the Ugandan students and pharmacists and I hope that we have been able to share some knowledge and tips with the pharmacy students here as well. We thought last night would be our last night out for dinner in Kampala as we have lots of packing to do tonight before we leave tomorrow morning. However, we couldn’t resist stopping at our favorite Mexican place, ¿Que pasa?, for dinner one last time before leaving. We certainly enjoyed the food and great conversation. I think we all agree that we will miss the restaurants here in Kampala once we are home in the USA! Although we are sad to leave Kampala and our new Ugandan friends at Makerere University, we are very excited for the weekend because we are headed to Murchison Falls National Park for a safari adventure! I’m sure we will have lots of pictures to share with you from our safari so stay tuned. This entry was posted in Diseases/Health, My Safari (My Journey/Adventure) and tagged APPE, Binghamton University, binghamton university school of pharmacy and pharmaceutical sciences, Global Health, Global Pharmacy, Global Pharmacy Education, Global Pharmacy Practice, international pharmacy, Kampala, makerere university, Makerere University Department of Pharmacy, pharmaceutical care, Pharmacy Students, Uganda, Ugandan Pharmacists, Ugandan Pharmacy Students, Wilkes University, Wilkes University School of Pharmacy. Bookmark the permalink. Thanks for ur final blog from Kampala!! Have a safe trip tmr. Look forward to some pics!